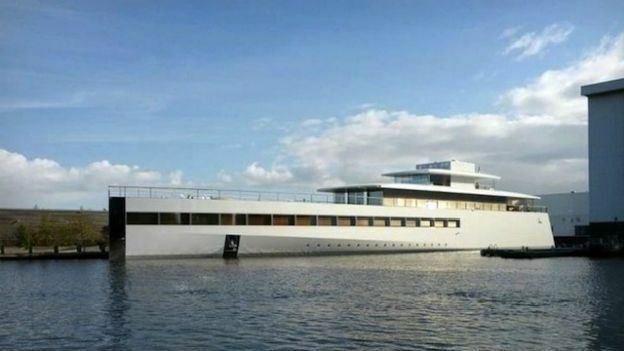 Steve Jobs' luxury yacht - called Venus - has been impounded in Amsterdam because of an unpaid bill due to designer Philippe Starck. The yacht cost £80m to develop, but Jobs died before he was able to use the craft. A lawyer, representing Starck's company said the designer had received 6 million euros out of a 9 million euro commission. The yacht was impounded on Wednesday evening in Amsterdam port and will remain there pending payment from Jobs' estate. Lawyers for Jobs' estate haven't yet commented on the situation.